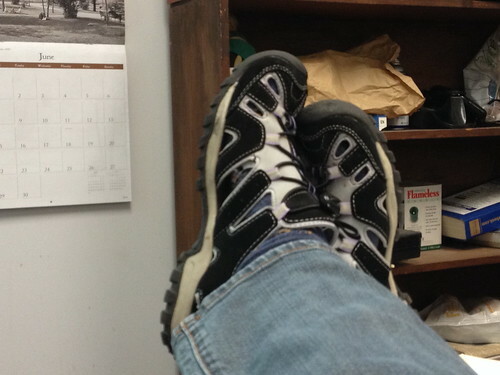 Ah, the life of flexibility, when I can cross my legs while propping them up on my office desk and not wonder if it will take a crane to get down. I've dealt with sciatica, an inflammation of the sciatic nerve which runs through your hip and down into your legs, since December of last year. It would flare up and then go away, depending upon how much I was moving. Aspirin would help, occasionally, but I can't take a lot of aspirin due to the other drugs I take for RA. By April, the pain was affecting how I walked, sat, slept. It hurt to roll onto my side at night to fall asleep. Sitting for a day at the computer, writing reports, was painful but getting up and moving around was worse. It just seemed to be a spiral. Dr. Francis ordered x-rays of my lower back. I have severe arthritis in my lower back and sciatica. She ordered a regimen of physical therapy. A lot of people have PT because I couldn't get my first appointment until after I came home from my Minnesota vacation. It hurt. I have a bunch of exercises designed to strengthen muscles around my "core" and then around the hip. I found that as I did those exercises, the occasional problems with my knees eases. The pain eased. On one day, when I had PT scheduled, I was half-way through the day when I realized, I wasn't in pain anywhere, not my hands, not my feet, not my knees or hips, nothing. That weekend, an amazing thing happened. I mowed the entire lawn without a break, the whole thing, front and back, without stopping other than when I ran out of gas. I swear I filled the mower, but, obviously, I didn't. 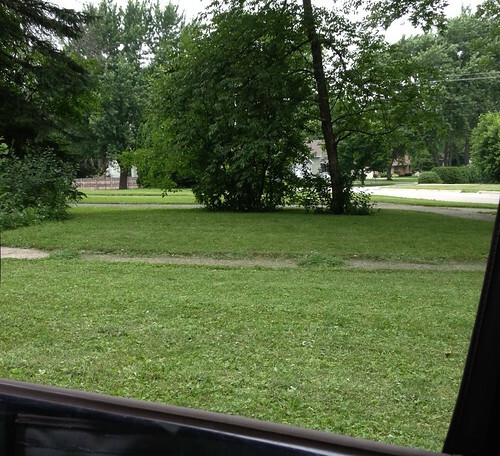 Not only did I mow the lawn in one pass, but I ran errands after a shower, all without pain. 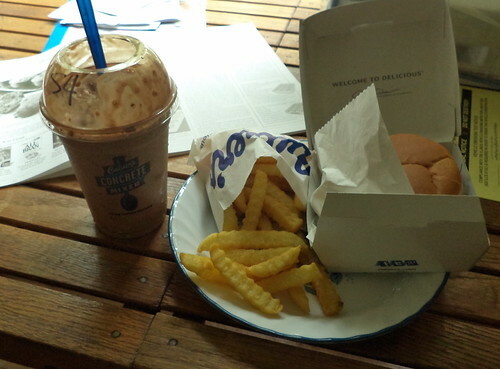 I decided I had earned lunch so I stopped at Culver's and brought it home. I wound up taking a nap 2 hours after coming home from running errands, but, hey, I'll take it. Since that weekend, I've had some achy days. The drive back from my vacation to Virginia was long. I didn't get a car with cruise control and I realize that's kind of key to my comfort. That may mean I have to pay more for a rental, but that's the way it goes. My left index finger is swollen in the morning and "clicks" when I bend it. I've had minor achy joints in both hands and my knees. The sciatica is back, but it is very mild compared to where I was when I walked in that first week of June. You know what? I'll take this. It makes me happy not to have the pain I had in my joints. Is it all from the Humira and drug combination? Is it simply the result of physical therapy? I don't honestly know. I just know that I'm feeling better than I've felt since 2010 and these little aches are easy to dismiss. Dr. Francis is talking about a change in my medications so I'm hoping it will be a reduction. I"m okay with that. That sciatic nerve is a mighty powerful nerve and quite debilitating. Maybe the exercise and drugs are the answer. I hope so.